We have discussed all the 13 principles to transform your money desire to its physical equivalents (Cash or asset). Before you can put any portion of this philosophy into successful use, your mind must be prepared to receive it. The preparation begins with the study, analysis and understanding of the three enemies you shall have to clear out from your mind. They are indecision, doubt and fear. Note that the sixth sense will never function while these three negatives, or any of them, remain in your mind. The trio is closely related because where one is found; the other two are close at hand. Indecision is the seedling of fear. Indecision grows into doubt and the two blends and become fear. The process through which the two blends is often slow. So, it is important you guide your mind against these three dangerous enemies of success. If you fail to do so, they will germinate and grow without you observing their presence and the calamity they are doing to your life. According to him, all other fears are minor and are find inside these basic fears. 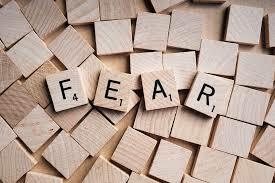 Fear is nothing more than states of mind. And one’s state of mind is subject to control and direction. It is important I state that we cannot create anything that is not first conceived in the form of an impulse of thought. So, thought impulses begin immediately to translate themselves into their physical equivalent, whether those thoughts are voluntary or involuntary. Know that thought impulses picked up from the ether by chance, that’s thoughts released by other minds; may determine one’s financial, business, professional or social destiny just as surely as the thought impulses one created by intent and design will shape his/her destiny. For instance, we have lots of people wallowing in poverty, anguish and hardship because they accepted the idea that you will not attain any greatness if you do not go to school or if you are infected with disability or if you are living in the remotest part of your country. But these are beliefs that you have involuntarily accepted because it seems to be the ethos of your society and you allow them to relegate you to penury and hardship when you can discard these beliefs and fill your mind with positive beliefs like every man has inside him/her enormous seed of greatness. And our circumstance does not determine who and what we become in life rather we determine destiny and use it to influence our circumstances. When one dominates his mind with these kinds of positive beliefs, you will start translating them into their physical equivalents. On Monday 27th August, 2018; I will start a series on the six basic fears. I shall explain each pay day and give practical examples that will help you understand it and put it into practice. I encourage you to stick on and go with me in this journey to transform your money desire into its physical equivalents. Is Wealth Creation Luck or Skill? The answer is ‘Yes’ and ‘No’. I have my reasons. First No, if you don’t have the skills, whatever you acquire by luck in terms of wealth will not last. I’ll also say yes, because when you’ve skills, more opportunities will continue to come your way even by luck. Although, opportunities dance with those who are already on the dancing floor, so get financially intelligent and stop waiting on luck (in Nigerian local parlance, Baba Ijebu). It is an unfortunate thing that one of the most essential educations that we need in our lives is seriously lacking in our education system…Financial Intelligence, that part of our intelligence that is used in solving money problem. Financial intelligence is missing in the curriculum of our school system, from kindergarten to the university. The worst is that what is taught in our school system about money and its management is grossly against the rules of financial intelligence. Irrespective of the numerous changes in the rule of money, majority of the world population still live their lives with the 20th century mentality about money. The society preaches; “Go to school, get good grades and get a secured job that has good retirement plan.” This does not work again in today’s 21st century economy. Why? The economy is changing every day. The rule of money is also changing as well. First, there are no more jobs not to talk of secured jobs. Even the so called secured jobs with good retirement benefit cannot fetch you financial freedom. If you don’t know, financial freedom comes with time freedom and this means that you own your life. Money is not your problem. You can buy anything that you desire that money can buy. You can afford to sleep and play around the world from 1st of January to 31st of December without working and yet you live your dreamed lifestyle enjoying whatever you desire. This is what I mean by owning your life. You are truly free because you have built a business system which gives you leverage and leverage pays you residual income and residual income makes you free. This is the kind of lifestyle that is only dreamed by many but enjoyed by a few. Want to join UWCMP? Register for our; The Ultimate WealthCreation Plan Webinar or watch the recorded version HERE. With your permission, I challenge you to dump the excuses, make a decision and take action to secure the future you and your family deserve - Now! Because it's time. Are you ready? Revealing! 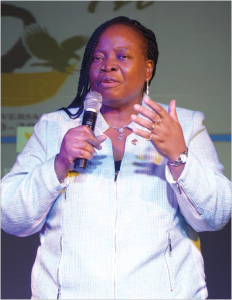 How my mentor; Dr. Mrs. Maria Goretti Idigo, built a 7-figure (USD) a year earning home-based business without jeopardizing her job as a medical practitioner, how she taught me how I'm building a 6-figure (USD) a year earning home-based business without jeopardizing my full time job. Now it's your turn! My mentor and I will show you how you can build your own 6-figure (USD) a year earning exciting home-based business without jeopardizing your job or your current business. If you are ready, Get instant access to our webinar with this form. Limited space available. Imagine it in your mind that creating multiple passive income streams can be easier. Isn’t it awesome? Yes, it is! But, do you want to turn the imagination to a reality? I do, and I know you also do. Great! There you are – I mean those that believe in creating passive income streams dream with me. I remember; the good book says; one can chase one thousand…and two chase ten thousand. What is the difference, you may ask? Do the arithmetic yourself. Why am I writing this article? Very simple! It is to expose the importance of building passive income generating assets to those that belong to the employee and self-employed quadrants. I remember my dad retiring at 65 after thirty-five years in civil service sometime in 2002, while I was in my second year in the university and all my three siblings were all still in school. He had to take up another job in a smaller corporation. This thought came back to my mind after a “setting your financial goals for 2013” class that I attended in January 2013. It pretty opened my eyes to the importance of having a planned financial life and the major role that passive income can play in one’s life. This prompted me to share my key learning with you; my reader. In that class, I went into a journey of my past, reflecting on my five years of working in a multinational earning a 7 figure (NGN) monthly paycheck and I discovered that I have no asset to prove for my income. I was working hard earning only active income which I spent as soon as it hit my bank account. Though, I was living fine, busy spending my hard earned income on luxurious liabilities. By the society standard, I am rich and comfortable. It dawned on me that if I don’t make a fast and decisive change, my final terminus at 65 will be the same as my dad. Shocking…isn’t it? At a close look at my friends, I found out that what I am into is a common disease which ember is fanned by our system; the go to school, study hard, make good grades and get a good job with good retirement benefits mantra. What a terrible path to the financial abattoir, it is. Financial freedom which comes with time freedom, a kind of lifestyle dreamed by many but only lived by a few; cannot be possible without financial intelligence. This is an important course for an improved living which unfortunately is missing in the curriculum of our education systems. It is only learned from those who are fortunate to know it. And, thanks goodness, I was in the last Sunday class; facilitated by Deolu Akinyemi, a young multi-millionaire entrepreneur who has taken it as his life purpose to spread the good news of business and financial intelligence. He is Robert Kiyosaki and Dr. Dolf de Roos’s protégé and a multi-award winning ex-corporate slave, who fired his boss after only 7 year journey in the corporate Nigeria, which saw him to the peak of Human Capacity Development department of two multinationals. 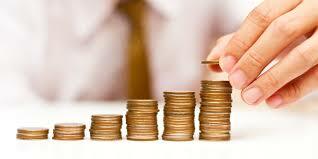 To earn extra income, because I am afraid of being short of cash; I thought is the way out of financial misery but I learned that it is not the extra income from the active income that makes the rich to be rich but the passive income that runs into their bank accounts from their numerous passive income streams – their assets. If you dream to retire earlier and rich, you need to start building your asset column by consciously creating assets that will continue to generate passive income for you. The highly coveted secret that makes the rich to get richer is that they spend by budget and they use their cash flow; that is the difference of expenses from income, to acquire assets. Assets can be real estate – rental property, paper investment, automated business, intellectual property or network marketing. Let me put it to you, as the facilitator did to me in the class; if you want to be rich, stop working for money and make money work for you. You may say these are some impossible blabbing from the mouth of a privileged young man who does not know the difficulties faced by many Nigerians. The fact is that what is impossible is what is not in your goal. Let me give you an illustration. If it happens that your apartment catches fire and you with your partner escaped. And you noticed that your six month old baby, who you couple, gave birth to after fifteen years of marriage without a child is still in the apartment, will you have a course to rescue your most priced baby? I guess the answer is yes! Financial intelligence is as important as that baby in that scenario. Just know that if you set your sail, God will send the wind. On a closing note, let me borrow Dan Kennedy’s words; “you can choose to be unsuccessful, even in your financial life, as long as you depend on people to become successful.” Also, the difference between what you are today and what you will be by December 31st 2016 will be determined by two major factors; the people you meet and the books you read. You can be part of the UltimateWealth Creation Mentoring Program. The choice is yours. Interested? Be part of the forth-coming pre-qualification webinar tagged; The Ultimate Wealth Creation Plan. It is 100% free and we have limited seat. Reserve yours here. Fear, Doubt…Are You Allowing Low Self Esteem to Destroy Your Life? Success is said, begins in the mind. According to Dr. Joyce Brothers; “Success is a state of mind. If you want success, start thinking of yourself as a success”. Therefore, you should not give way for fear and doubt as a result of low self-esteem to destroy your life. Having said these; I believe the question in the mind of my reader will be how can I turn around a low self-esteem status? 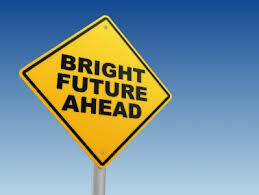 First and foremost, you have to develop a positive attitude to life. For this to happen, you should start reading inspirational books. I must tell you that the Bible is the greatest inspirational book of all time. You have to get one if you do not have it and start studying it. I guarantee you; you will get a lot of inspiration from studying the bible. Also, you should be listening to motivational tapes as often as possible. And check the kind of people that you have as friends. Are they pessimists? People who will never believe that anything good will happen! If you have these kinds of persons as your friends, it is time to jettison them and make friends with highly positive minded people. It is important to state that fear cannot be stopped completely but it can be controlled. By feeding your mind with positive thoughts and conditioning your mind to always think positively you will reduce fear in your life. Also, you should always speak positively about yourself. If you constantly practice these things, you will control your fears and take charge of your life for a better than good 2016 for yourself. 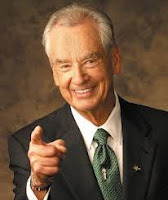 Life can never be simpler than how Zig Ziglar explained it through his success philosophy. At first, I didn’t really understand this philosophy but after several deliberations on it, I understood the meaning and how it can help my life. The truth is that in helping others get what they want, you also get what you want. For instance, I sat down one morning and thought out the basic things that I have bought that day and I found out that I paid for transport to the office that morning. Also, I have recharged my mobile phone and I have bought a breakfast for myself. I asked myself again, why did I board the Lagos State Government Bus Rapid Transit (BRT) instead of the popular, ‘Danfo’ yellow buses? I found out that BRT is faster and cheaper. Similarly, I bought myself a breakfast from the canteen where I did because their food is always good. On the other hand, I asked myself, let’s say I have never met the BRT driver or the canteen steward before in my life and that morning, any of them just walked up to me to beg me for some money, would I give him? The probability is very low. But because they have helped me get what I wanted that morning; faster transport and good meal, I gave them my money in exchange. If you understand this success secret, you will start thinking of what other people want and how you can come up with values that can help them get those things they want. It is important you know that your focus should not be on making money alone. You should focus on helping other people by offering quality values. This will make your offer very irresistible to them. As a network marketer, I asked myself, how can I get to the top of my company compensation plan faster? I began to look for how our valuable propositions can help other people improve their lives. It came to my knowledge that I can share my plan of how I want to build a profitable network marketing business which will help me retire from my full time job earlier, with other people who also want to quit paid employment. Therefore, I started looking for those who are open to new opportunities and behold my quest attracted so many leads. My Facebook adverts were productive and currently, I am working with my team members and our businesses are growing fast. I vehemently believe that you can get everything you want in life if you can help enough other people get what they want. If you are thinking of how to earn extra income to support your salary in 2016, you can be part of my ultimatewealth creation mentoring program. you ask yourself, am I motivated by these? If it is a yes for you, then you need to look at the network marketing industry, identify a good company, plug in and start building your business so as to actualize those life motivating activities. Network marketingbusiness is one of the ways to own a business system which is guaranteed to make you financially free. It is an unfortunate thing that so many desperate persons who failed to understand how this industry works have brought bad name and negative criticism to our industry. But believe it or you leave it, the industry is rated the number one industry that has produced more millionaires and faster, in the past twenty five years. For you to excel in network marketing business, you need to understand the cash flow quadrant. Cash flow quadrant shows how everybody in the business world earns their cash flow. Also, it moves a step further to show you how you can balance your life, live happier and mostly importantly achieve financial freedom by improving your cash flow management. The cash flow quadrant is comprised of four quadrants, two on the left side and two on the right side respectively. On the left side of the quadrant, there are the E’s which stands for employees. These people have a job and they work in other people’s system to earn a paycheck as a reward. Also, there are the S’s which means self-employed. These people own a job. They believe in doing their own things their own way thus they own and work their job. 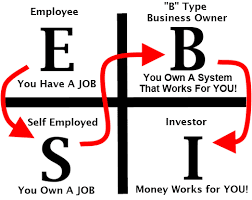 On the right side of the quadrant, there are the B’s which stands for business owners. These people build a business system in which other people work and their system pays them. Also, there are the I’s which stands for investors. These people’s money work for them and earn them return on investment (ROI). It is important that you know that in the left side of the quadrant, you have to work before you’ll be paid but on the right side, you earn free income. All you do is to work once and you’ll continue to earn from it. The truth is that you have to work without earning any significant income for some time during the early days in the right side of the quadrant. It is just a short period of deferred gratification and building of your business system. Then, you’ll start earning free income afterwards for the rest of your life as long as you continue to improve your financial IQ. In the other hand, those in the left side of the quadrant desire immediate income. They enjoy immediate gratification at the expense of their future. These people work for money but in the right side of the quadrant, the people work to create and build system and their system generates enduring wealth for them. They work to create wealth and money work for them. It is easier and faster to achieve financial freedom in the right side of the quadrant. It may interest you to know that 90% of the world population is on the left side of the quadrant and they control only 10% percent of the world wealth. In the other hand, 10% of the world population is on the right side of the quadrant and they control 90% of the world wealth. In the right side of the quadrant, the focus is on building a business system which earns the owner passive income. As the system expands, the passive income grows thus financial freedom is certain. There are three ways to own a business system. The first is by building a C-corporation, that is, an automated business which employs minimum of 500 employees; from scratch. The second is by buying a franchise of an already built business and the third is through network marketing thus you buy into an existing business and start building your own business system. Among the three, network marketing is the cheapest, easiest, fastest and lest risky way to own a business system. Building a business system requires you to empty yourself of the core values of the left side of the quadrant and start learning the core values of the right side of the quadrant. It requires patience, persistence and learning. Making mistakes is allowed but you have to learn from your mistakes. Failure is an indispensable process in the right side of the quadrant thus you don’t need to be afraid of taking calculated risk. Success in network marketing business requires the mindset of somebody in the right side of the quadrant. In fact, to build a successful network marketing business, you have to operate like a B personality. Therefore, you need to have a mentor; somebody who has successfully built a network marketing business, to succeed in the network marketing industry. More so, you need to learn the process and take action. You should not take failure personally but as part of learning. In network marketing, it is important that you like helping other people. Leadership skills and teaching ability are very essential. You need to take rejection positively and make it inspire you to push harder. If you must excel in network marketing, you must have a dream, a commitment to your business, to your team and to yourself. (Note; you’ve to make your dream tangible by writing it down in a piece of paper and paste it where you’ll be seeing it always). You must indulge in continuous personal development. The good news is that all these can be learned as long as your mindset is positive. If you’re enlightened by this article and you want to start building your network marketing business, you can work with me. I think I didn’t hear it clearly or my mind is playing a fast one on me. Or is it the presenter that does not know what he is saying? I think somebody is going insane. To clarify my doubt, I asked the guy beside me if what I heard the presenter said was correct and he reiterated; yes! You can make your expenditure an asset. I know you may be wondering how this can be possible. My financial intelligence class taught me that an asset is anything that puts money into your pocket and a liability is anything that removes money from your pocket. The question then is; how come this presenter is saying that you can make your expenditure an asset. Okay, this is only possible in network marketing, a business model that gives consumers opportunity to buy direct from the company at a discounted wholesale price and at the same time, take part in the company’s profit sharing. Network marketing is also known as grass root capitalism; that is, a business model that is determined to expose millions of everyday ordinary men and women who believe in achieving financial freedom through enterprise and self help to limitless opportunities to realize this dream. 3. 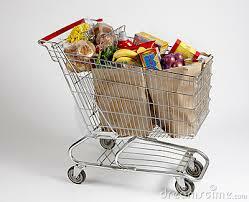 Change your brands on your household consumables to our company’s brands. We have wide range of product lines such as personal care, skin care, kiddies/teens care, weight/fitness management, anti-aging product and food supplements. The unique thing about our products is that they are healthier specially made from organically grown Aloe Vera as well as from Bee Hive naturally bred in the desert. Our personal care products include toothpaste, bathing soap and gel, body lotions, deodorant, perfumes, tea, honey, detergent and liquid hand/face soap. 4. Be your best customer by using the products for an enhanced health and wellness. 5. Share your testimony with others; family, friends, associates etc and show them how they can also build a part time business that does not jeopardize their job or existing business just by changing their brand on household consumption and changing what they are saying to friends. 6. Make a commitment to a continuous learn necessary to acquire the professional skills to build a successful network marketing business. 7. Decide to take it as a business and decide to be a professional network marketer. I guarantee you that you shall certainly be earning an average of a 6-figure monthly income in dollars in a short three years. Friend, my goal is to make this as practical as possible. So, the first thing you need to do is to ask yourself; what is that one thing that I virtually do always that makes me excited? What is that one thing that I can miss my meal doing it? What is that one thing that I can spend my last cash to enjoy if it means paying money for it? What is that one thing that when I do it, people keep appreciating it? What is that one thing that even if you weak me up from the sleep and immediately ask me to do it, I can do it sharp-sharp without feeling it? These are questions that can help you discover your passion/hobby/natural ability. If you’ve discovered your hobby or natural ability; congratulation! What you need to do is to see how it can positively impact other people’s lives. 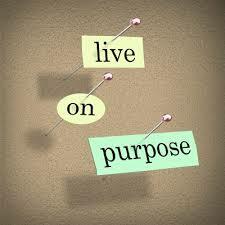 By finding out this, you’ll be equipped to define your life purpose. That is, how you’ll touch so many other people’s lives while doing what you love doing in life. At that point, we say, your vocation becomes vacation – work becomes fun! Isn’t it interesting? For instance, when I discovered that I love reading, writing and teaching, I started thinking of how I can use this to impact my world. At first, I was writing more of creative stories. This part of me helped me to write a novel in 2004 after my degree examinations while I was waiting for my NYSC. After my NYSC, my interest shifted to personal growth, financial intelligence and entrepreneurship. What inspired the shift is because I saw that I needed entrepreneurship education to excel. Also, I observed that so many Nigerian youths are jobless and they need help. I saw that there is a big gap on entrepreneurship and money education in Nigeria, so I saw that I have got something that can help my peers. To actualize this dream, I’ve to join a good network marketing company. In this company, I focused more on learning how to sell, overcome rejection as well as build my mindset. In learning these, I was also making money. That was very exciting. Having seen what I was able to achieve doing what I love doing and the fact that people are appreciating it, I decided to take it as a business thus, I floated training, publishing and consulting business in 2012. Friend, it’s important that I tell you that if you will change your mindset about money – that is, the mindset of chasing after money as if life depends only on it, and focus more in adding more values to your life, discovering your hobby/natural ability, defining your life purpose in relation to your natural ability and start to living it, you’ll see that over time, money will naturally start following you. Till I come your way next time, I encourage you to take action. It all started with my discovering the truth; what I called the secret of living your dream. What is this secret; you may ask? It is hidden in Matthew 6:31-33; “So do not start worrying; where my food will come from? Or my drink? Or my cloth? These are the things the pagans are always concerned about. Your Father in heaven knows that you need all these things. Instead, be concerned above everything else with the Kingdom of God and with what he requires of you, and he will provide you with all these other things”. 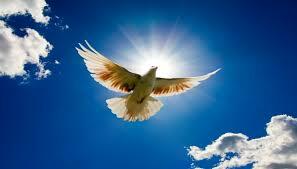 Let us look at this secret closely to discern the knowledge and wisdom in it. First, you need to be told that it was Jesus Christ that is revealing that secret and you have to believe that he is the source of life and life dreams. Therefore, when he tells you, do not! It is possible that you also can do the contrast but certainly it will not pay you. In real sense, worrying about life challenges is not the way to live your dream but seeking for solutions to the challenges is the key. The second part of this secret is where the solution to living your dreams lies; be concerned above everything else with the Kingdom of God and with what he requires of you and he will provide you with ALL THESE OTHER THINGS. What does this entail? There are 3 cardinal virtues that are required of you; Faith, Hope and Love and the greatest of these id Love (1 Cor 13:13) By love, first you will love the Almighty God ( God the Father, Jesus Christ the son and the Holy Spirit) above everything else with all your heart, mind and soul. You should always serve, worship and obey him. Second, you should love your fellow human beings the same way you love yourself. This means you have to always display good morals and ethical standard in all your dealings in life. Friend, these are the whole truth for you to start living your dream in life. Understanding this truth was how I started the journey of living my dream life. 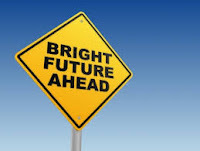 It is important I tell you that I have not arrived at my destination yet but I am on track and everyday is a progress. I am happier by the day irrespective of the numerous challenges of life.